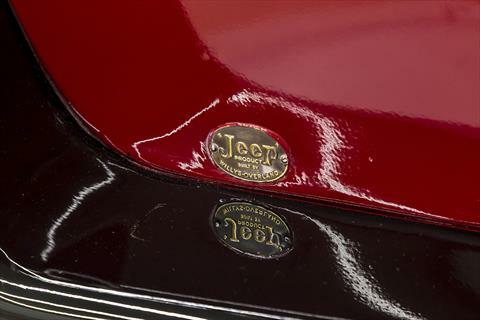 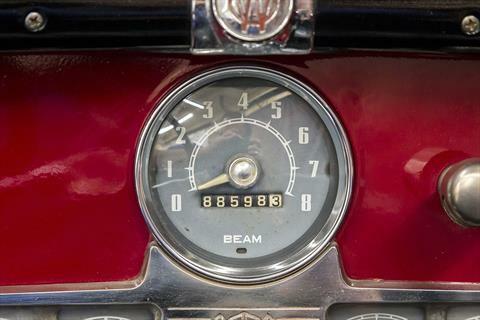 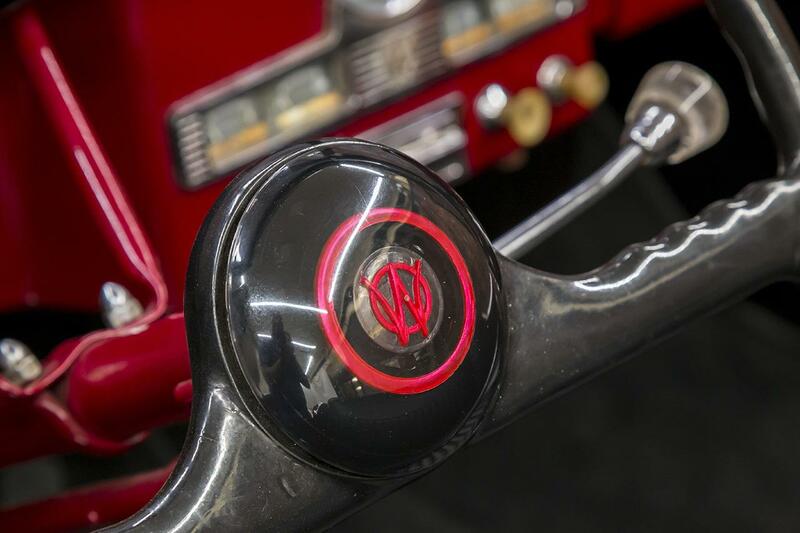 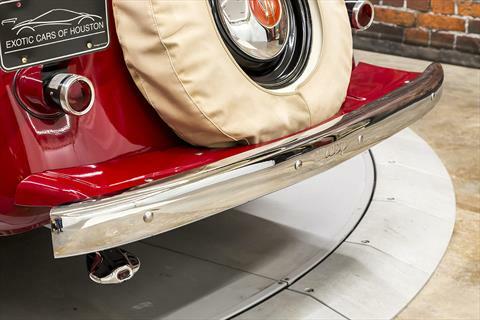 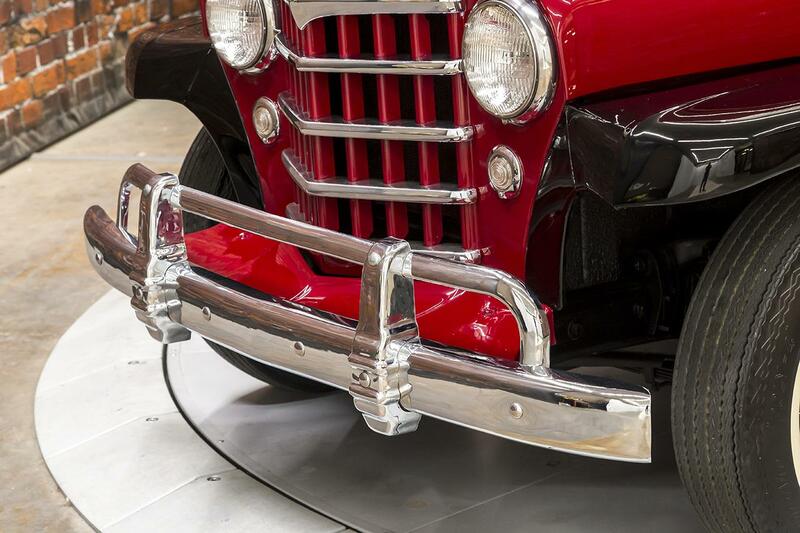 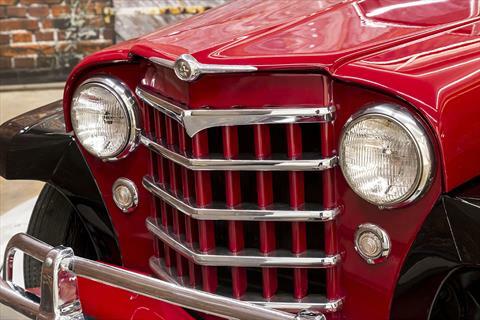 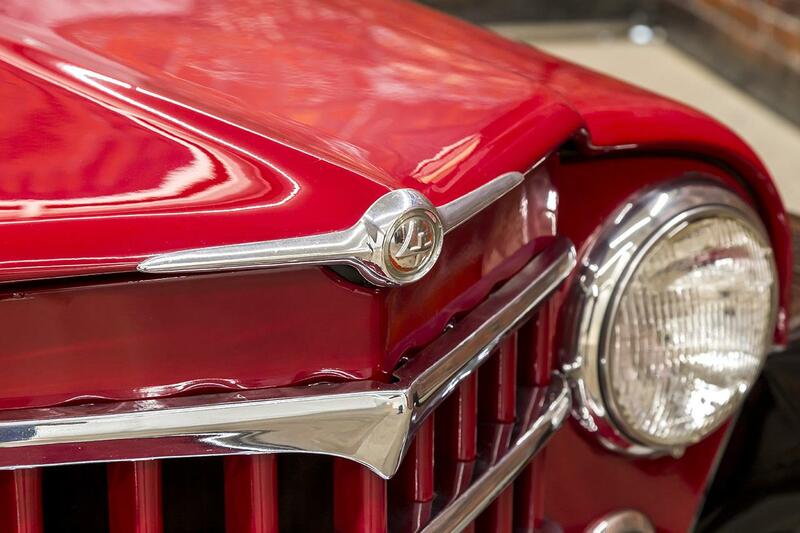 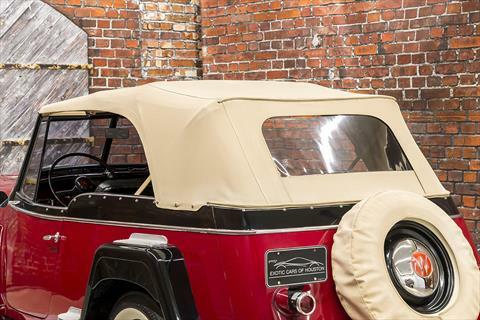 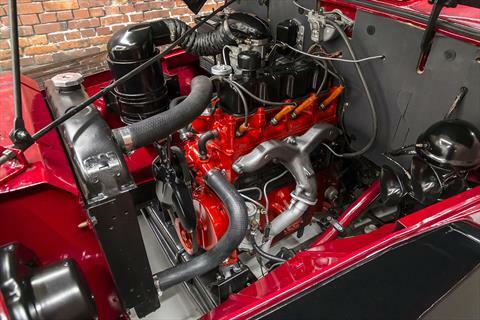 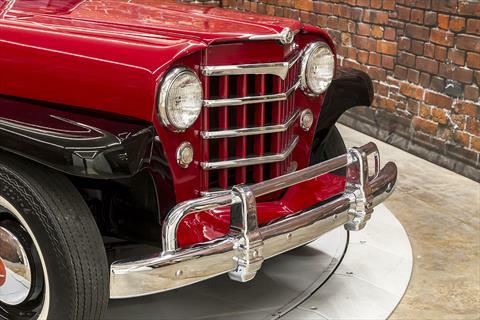 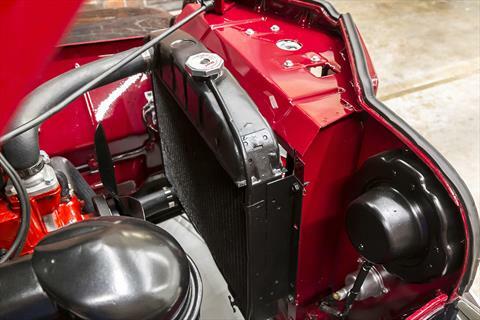 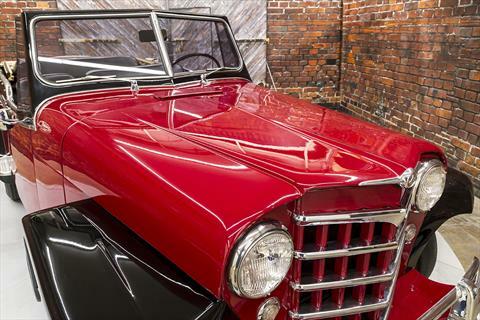 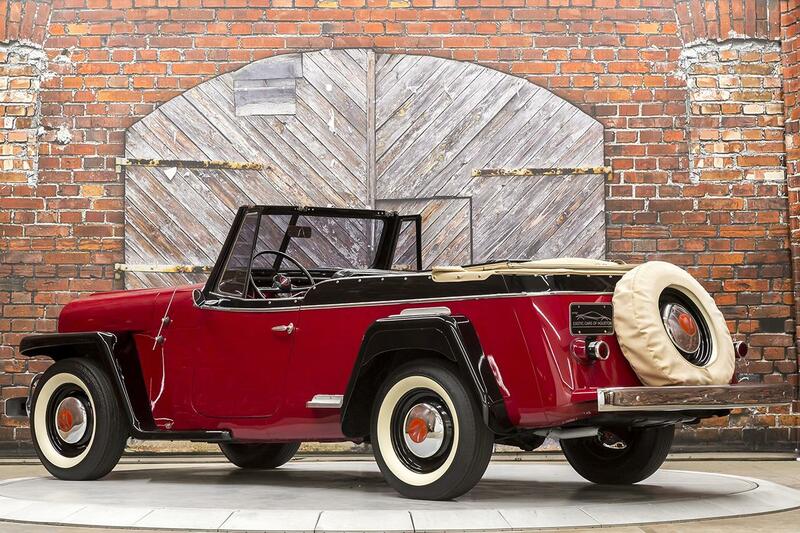 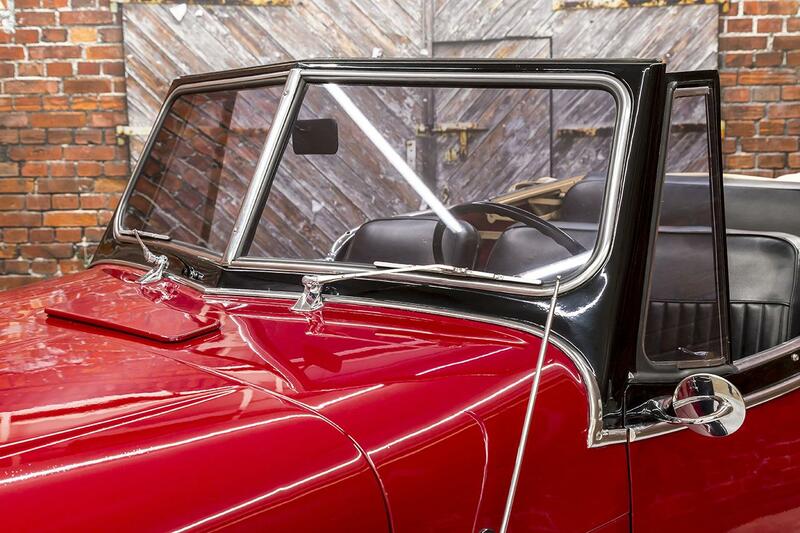 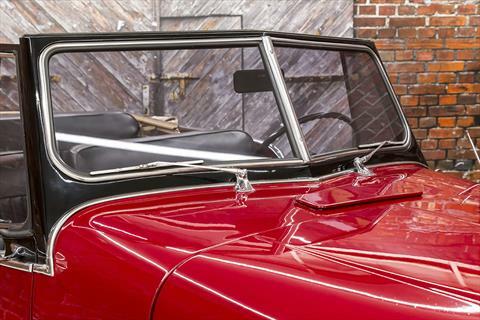 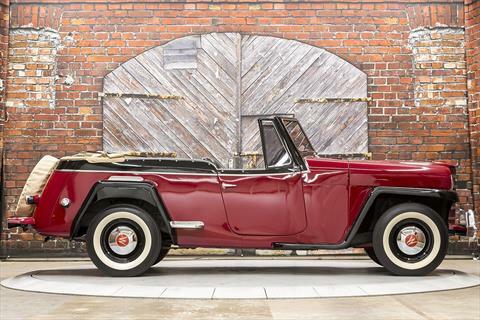 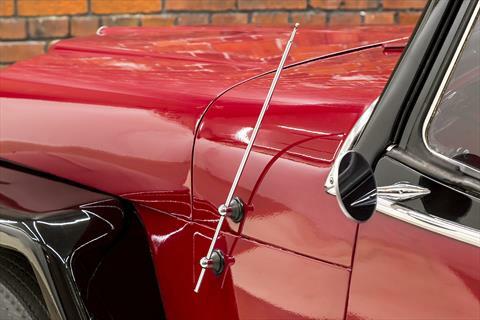 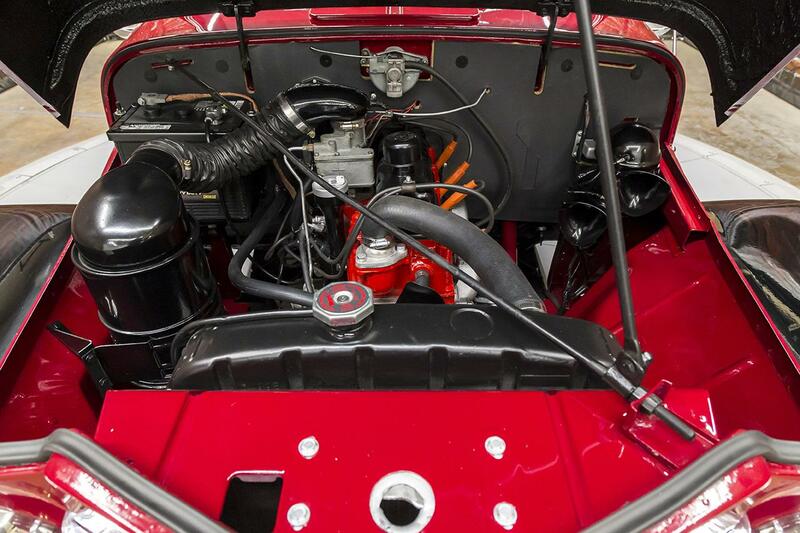 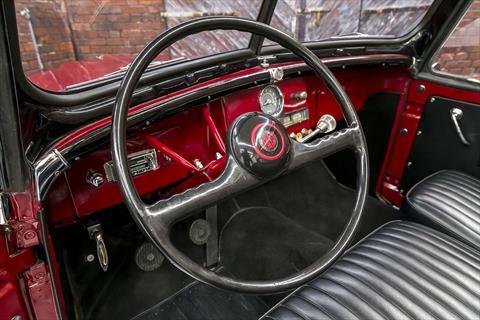 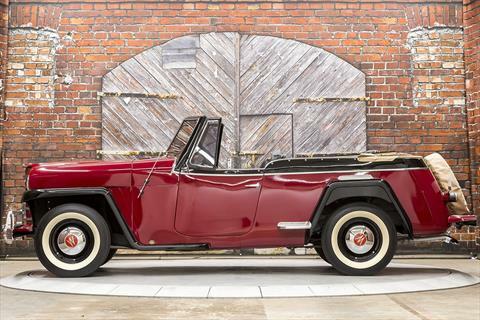 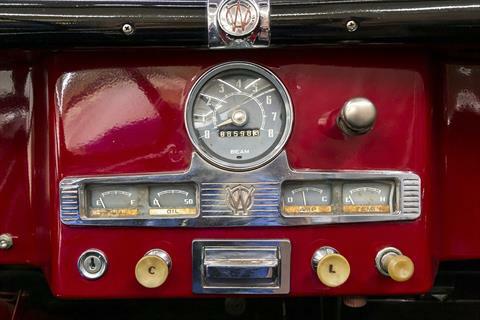 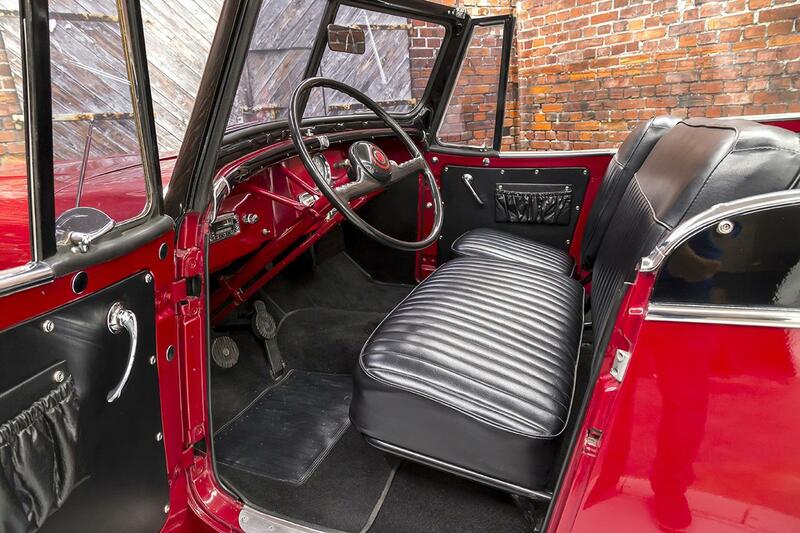 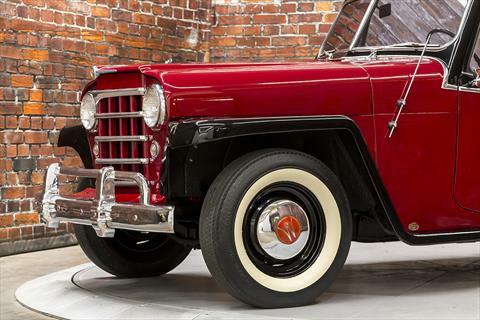 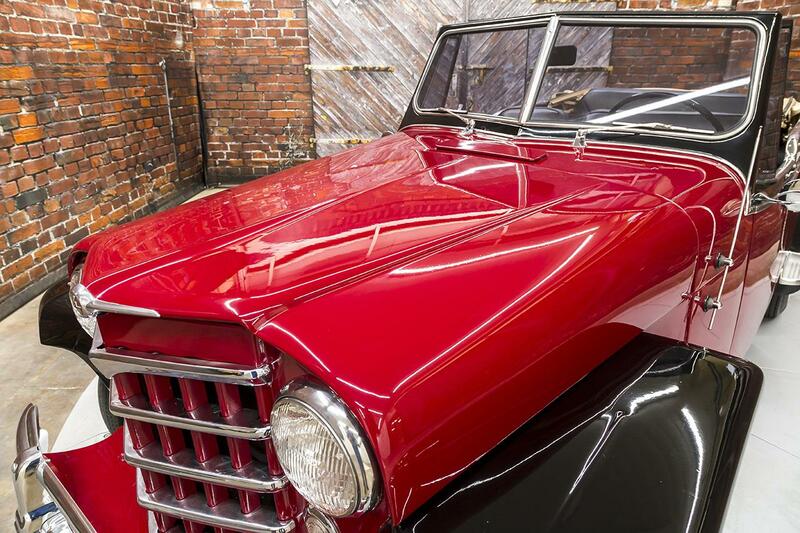 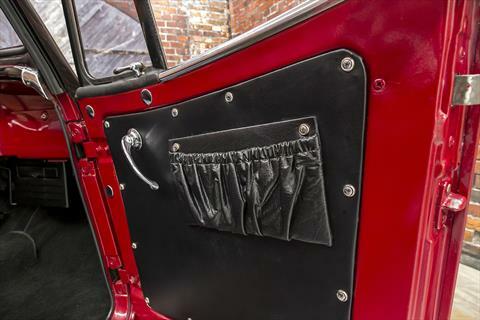 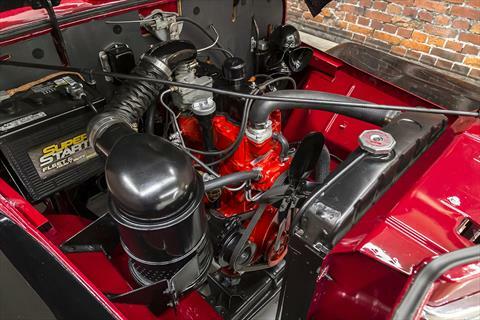 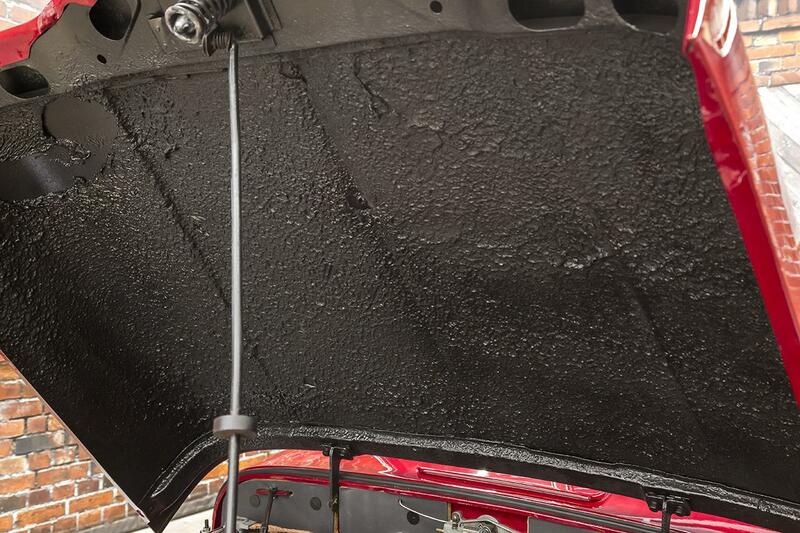 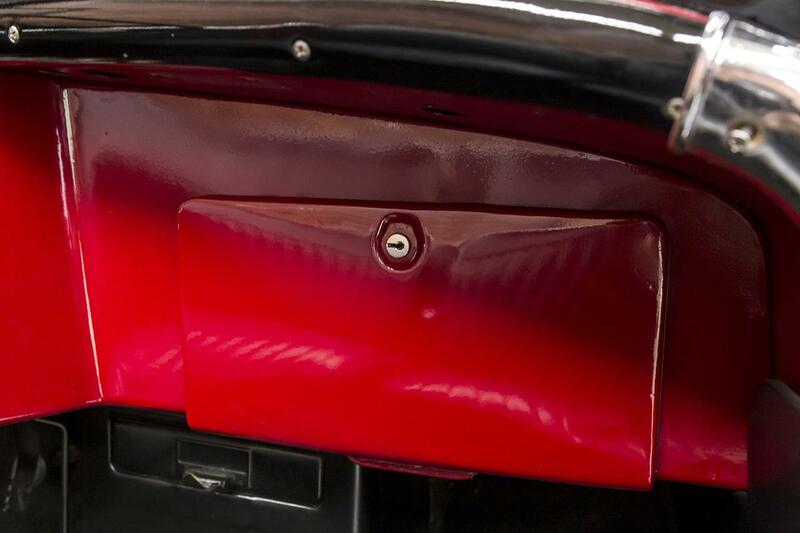 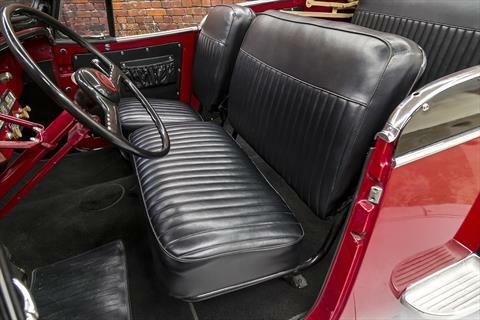 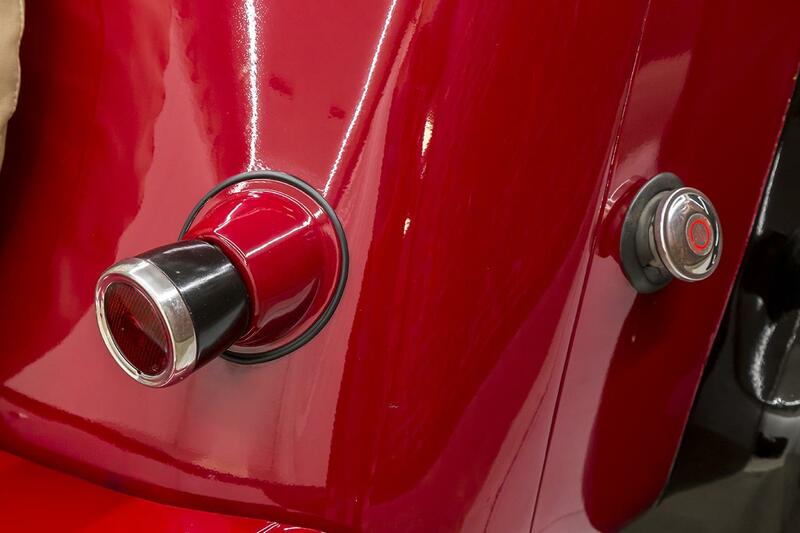 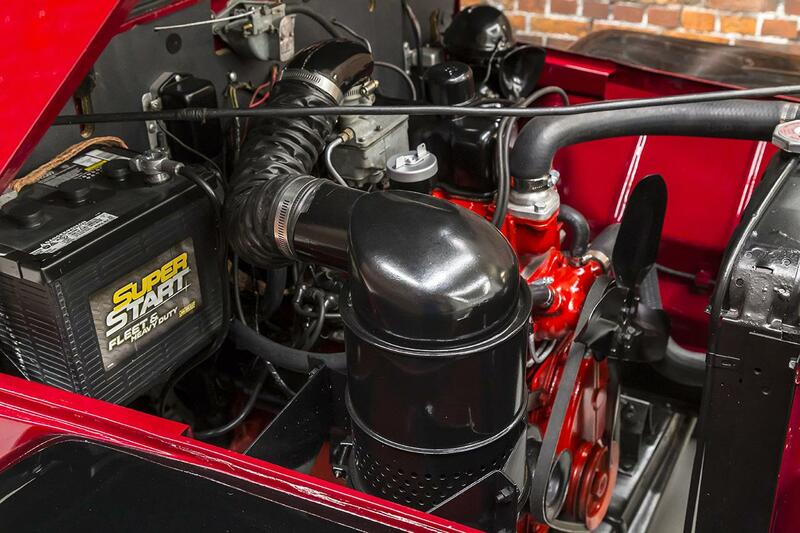 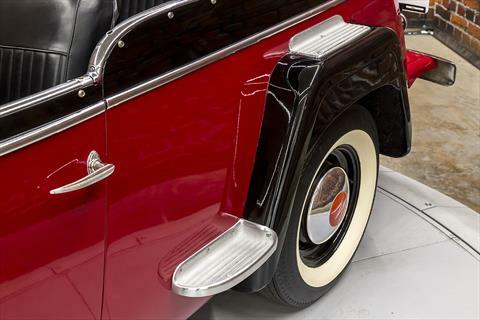 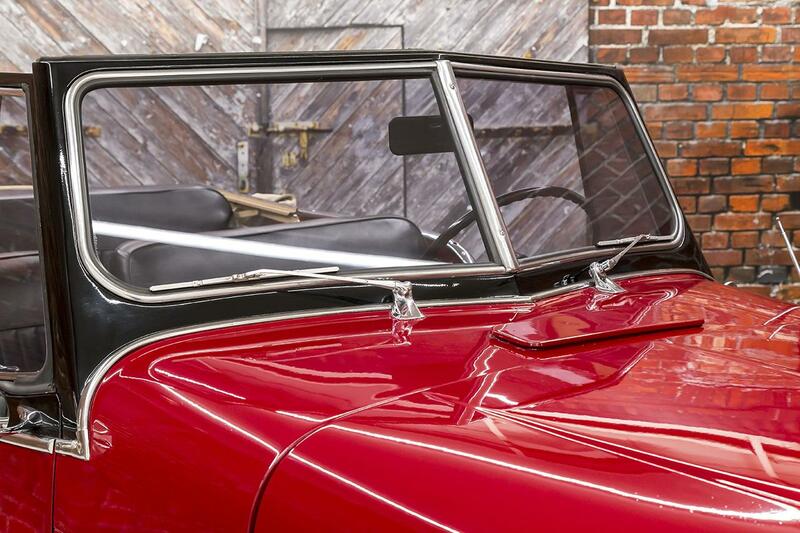 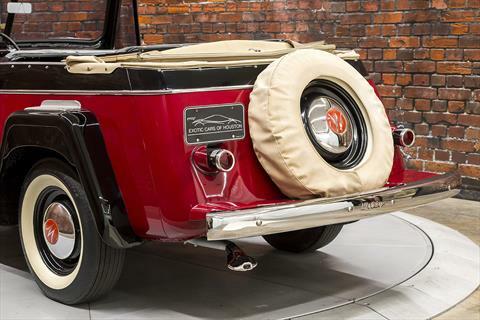 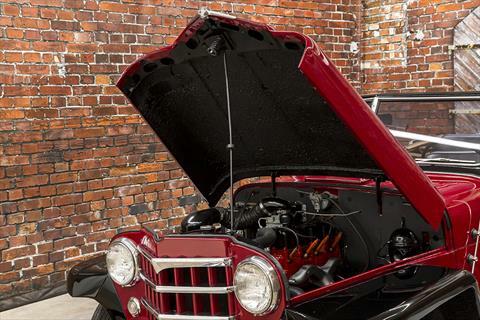 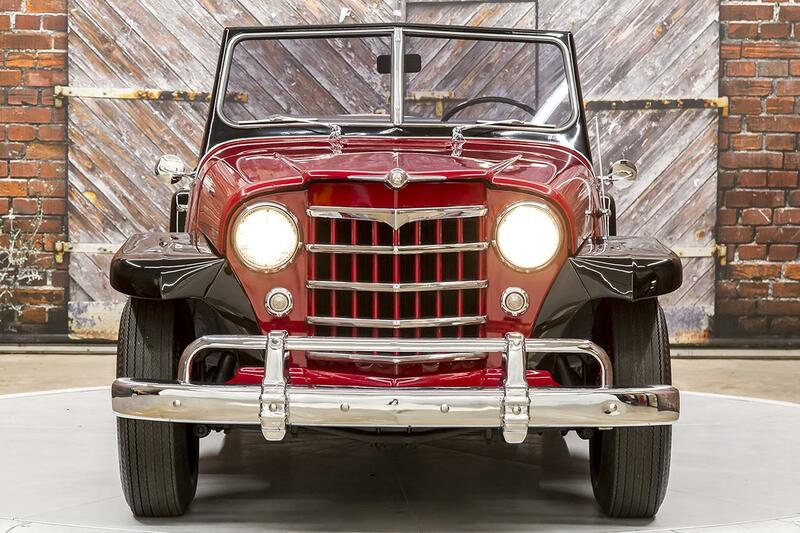 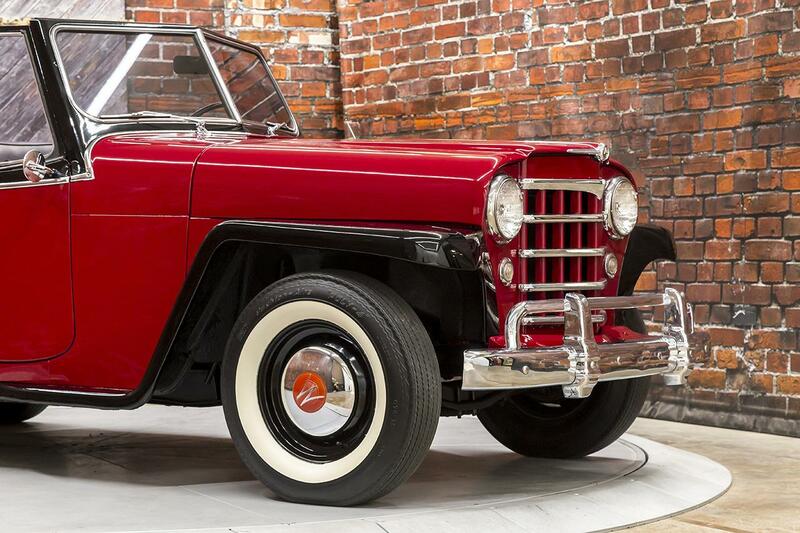 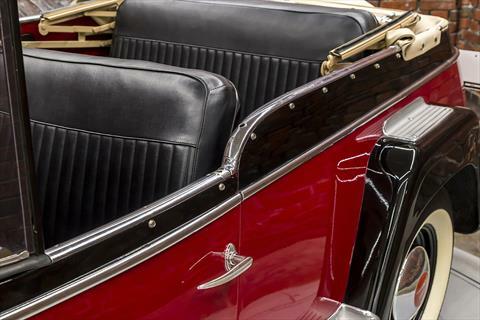 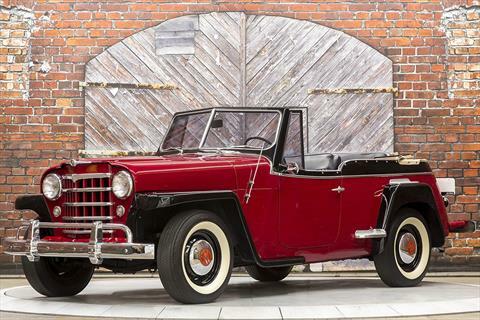 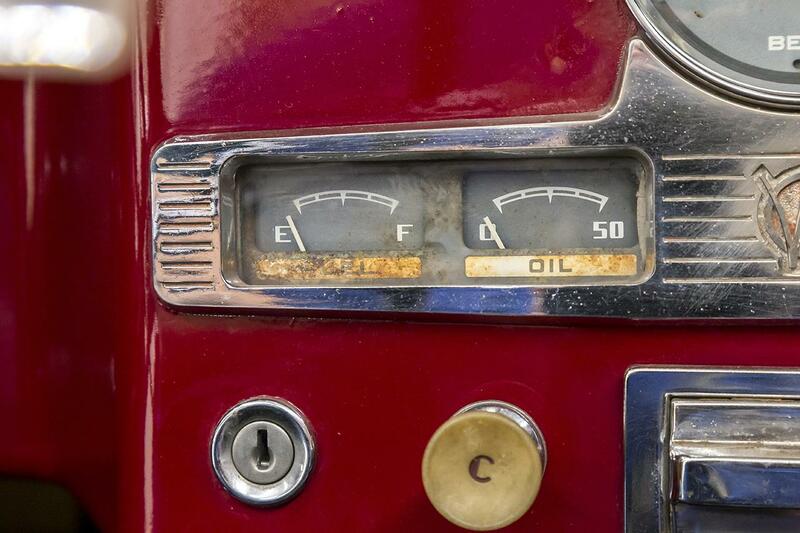 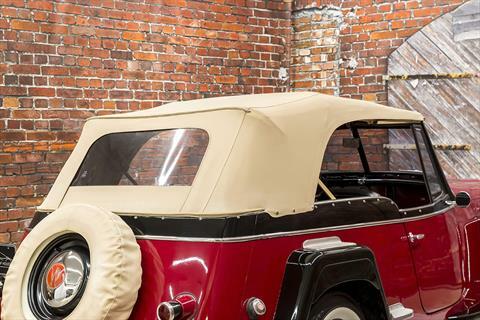 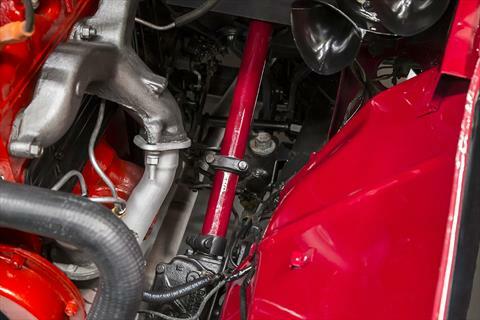 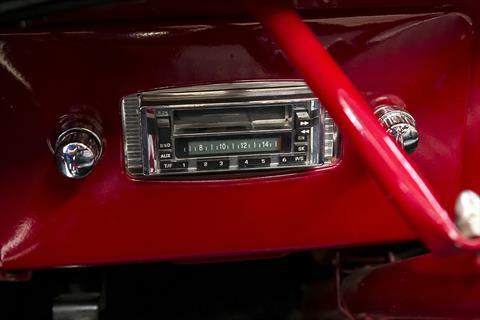 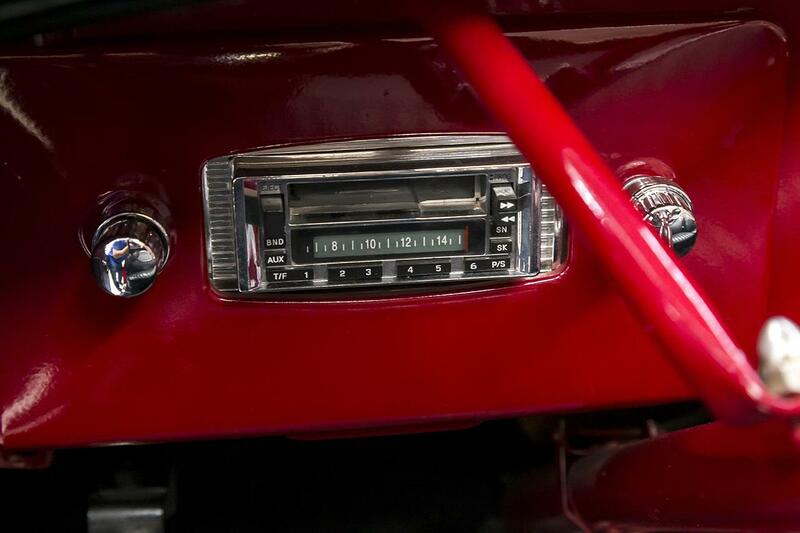 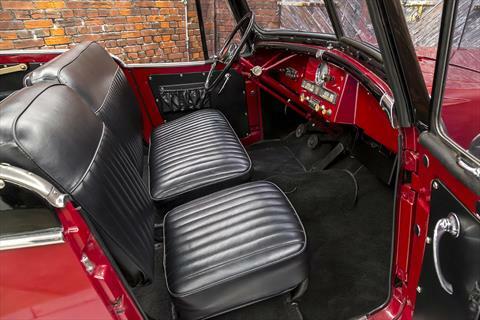 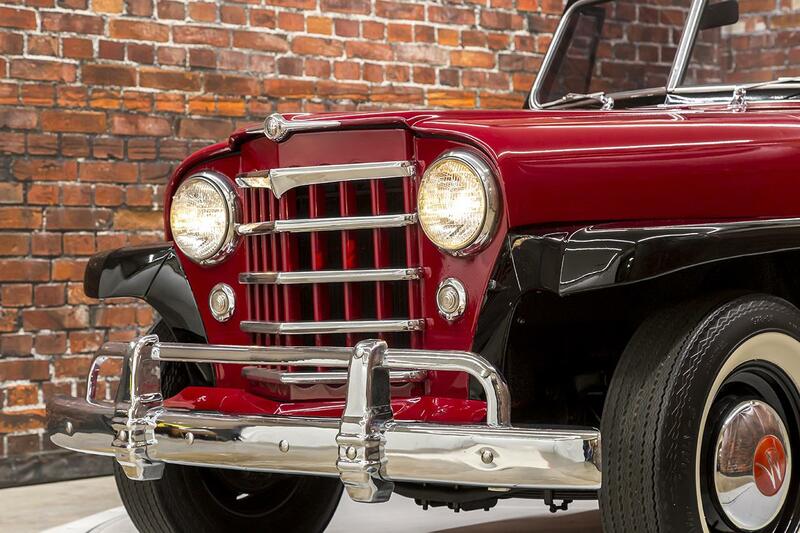 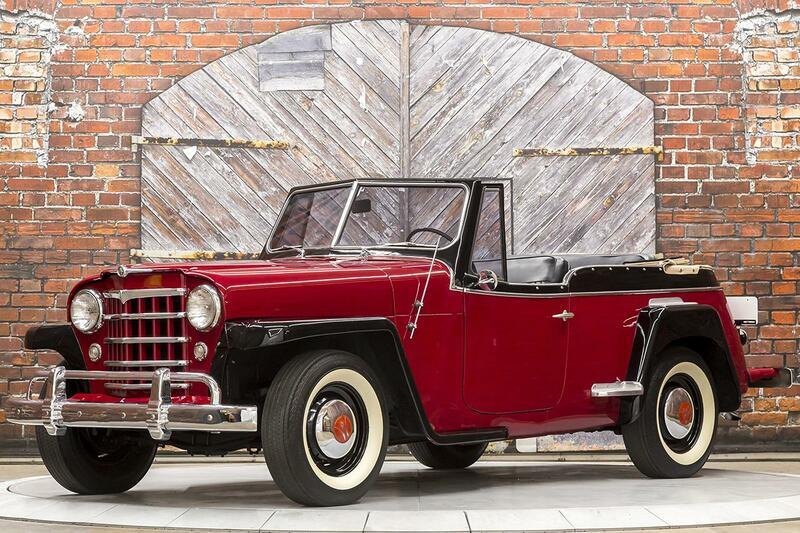 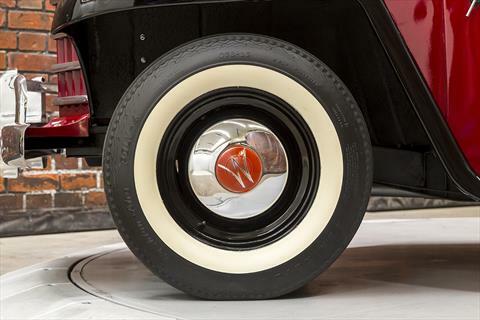 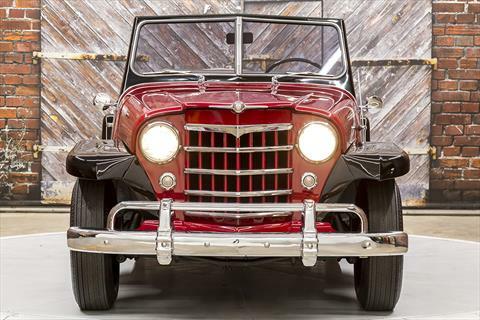 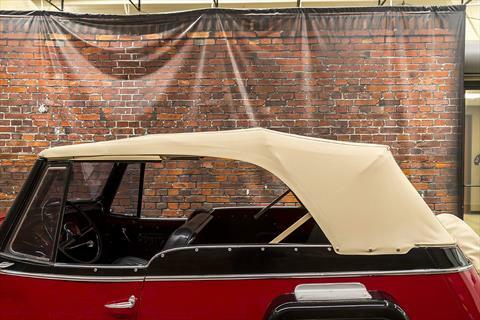 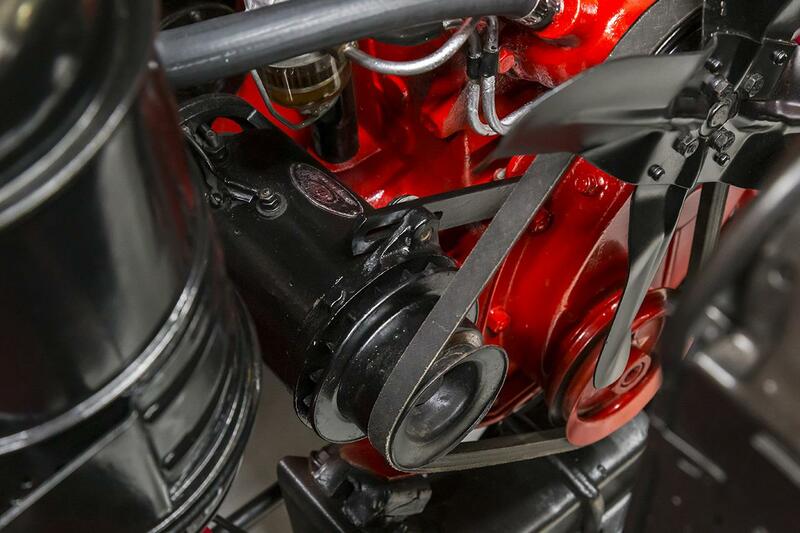 Presenting this 1950 Willys-Overland Jeepster in Maroon over a Black vinyl interior with an indicated 88,598 miles. 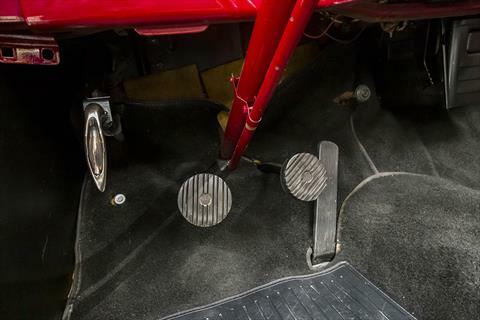 Powered by a F4-134 Hurricane 2.2L Inline-4 producing 75 hp and 114 lb-ft of torque through a column-shift 3-speed manual transmission. 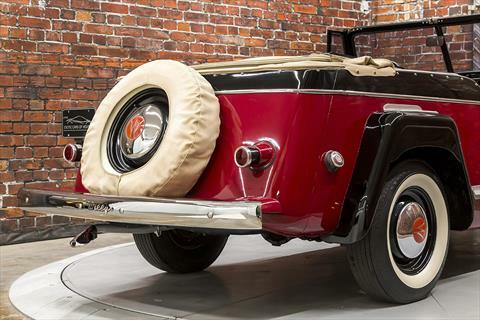 This Willys Jeepster is an older restoration that shows very nice. The maroon and black paint is very nice overall and it sits on black painted wheels with excellent white wall tires. 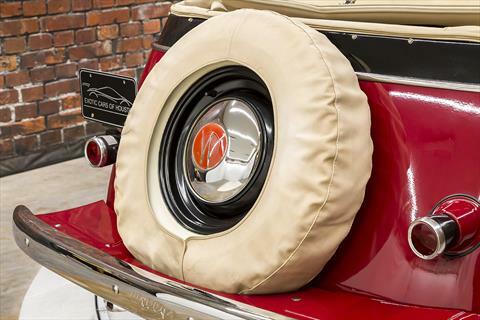 The rear spare is covered in a matching tan cover and sits behind a chrome bumper. 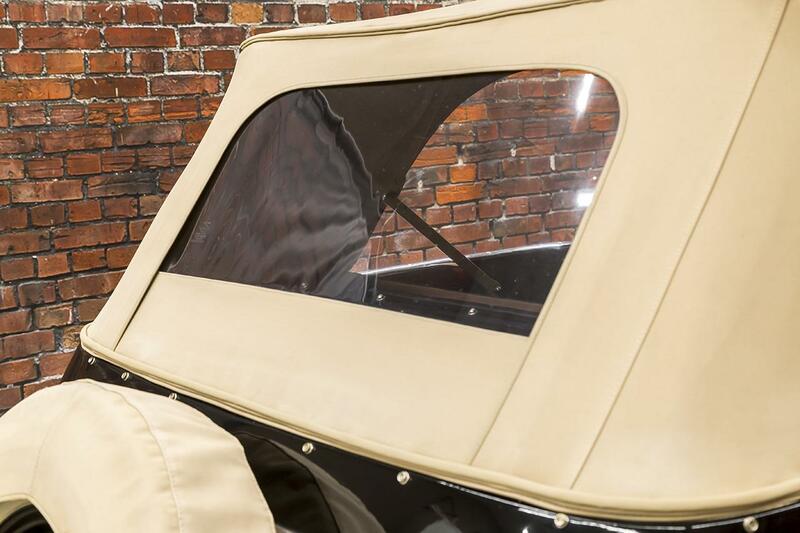 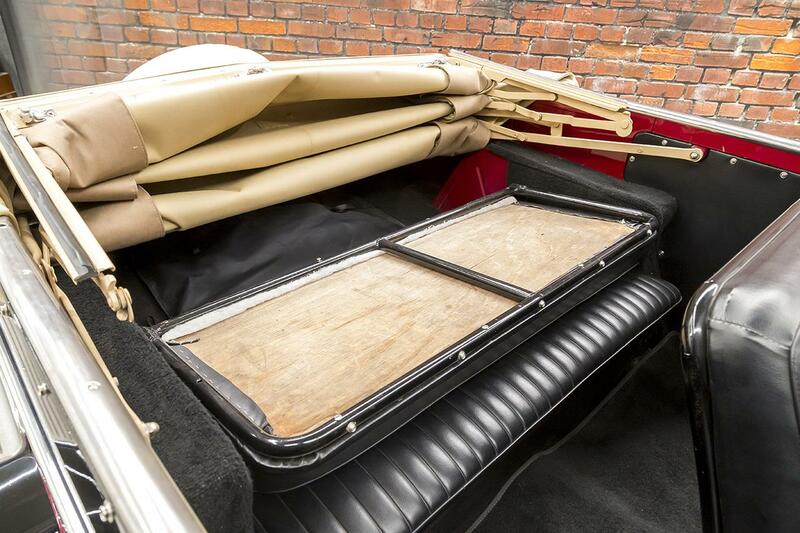 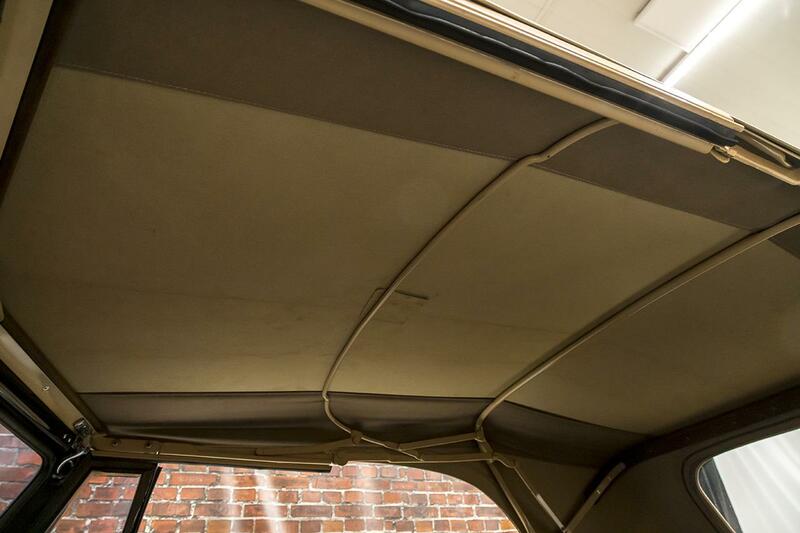 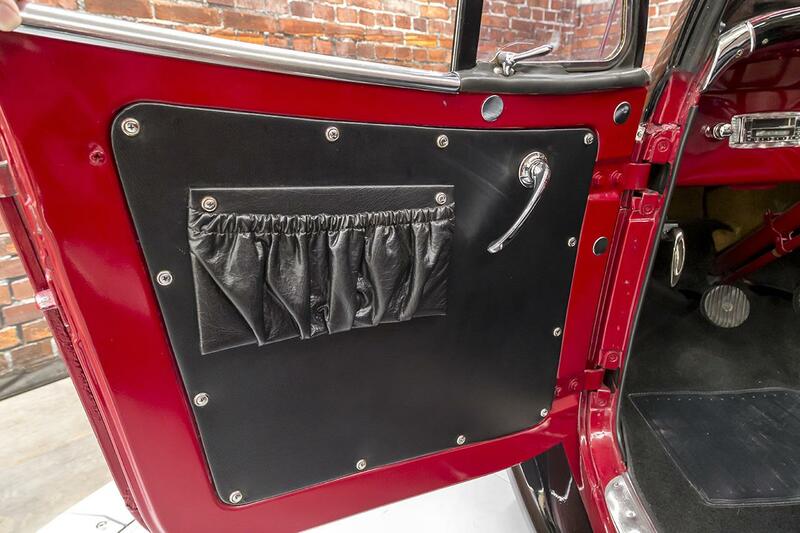 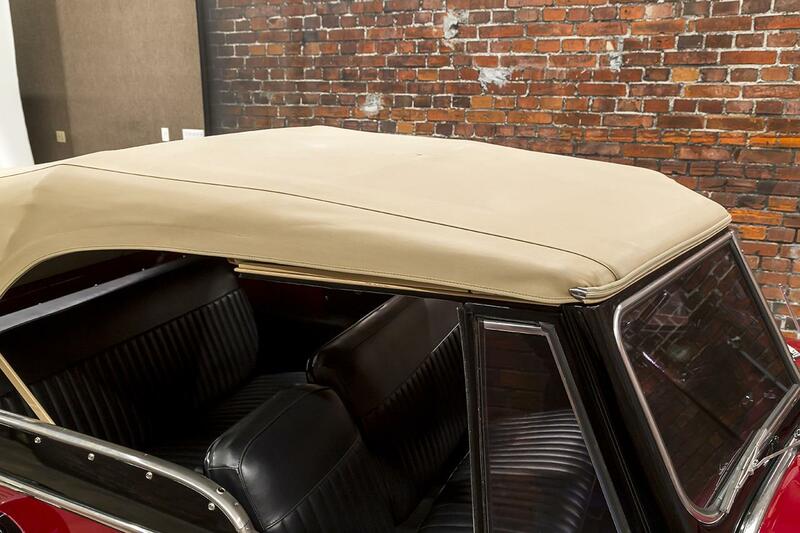 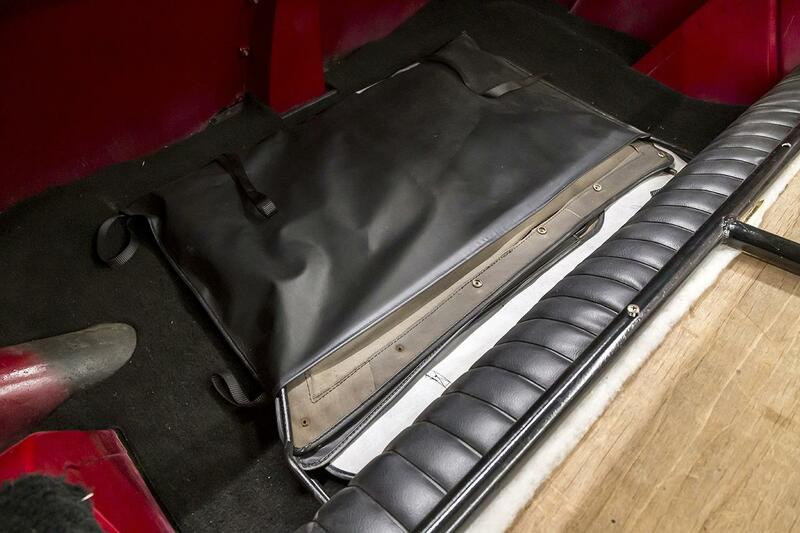 The tan canvas top latches securely and folds with ease and the snap-in side curtains are stowed behind the back seat in their protective cover. 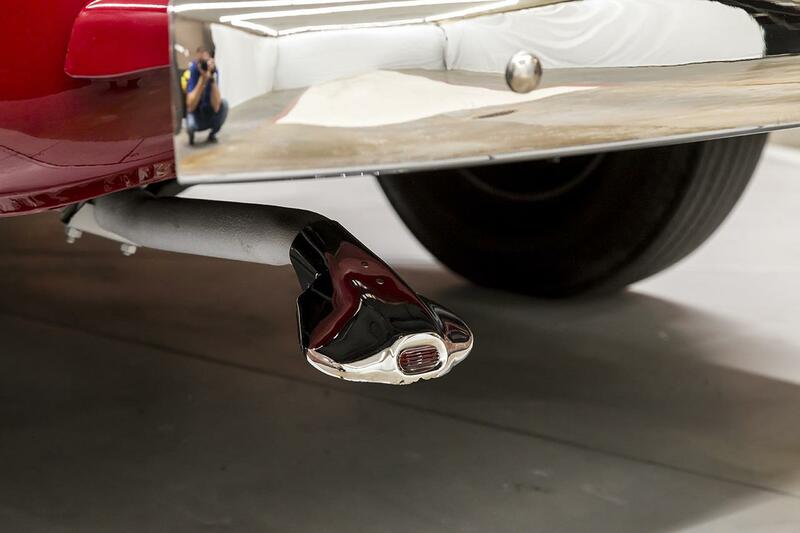 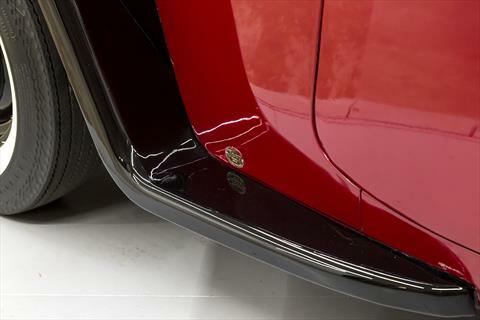 Other exterior features include left and right side steps, chrome grill, chrome exhaust tip, and dual outside mirrors. 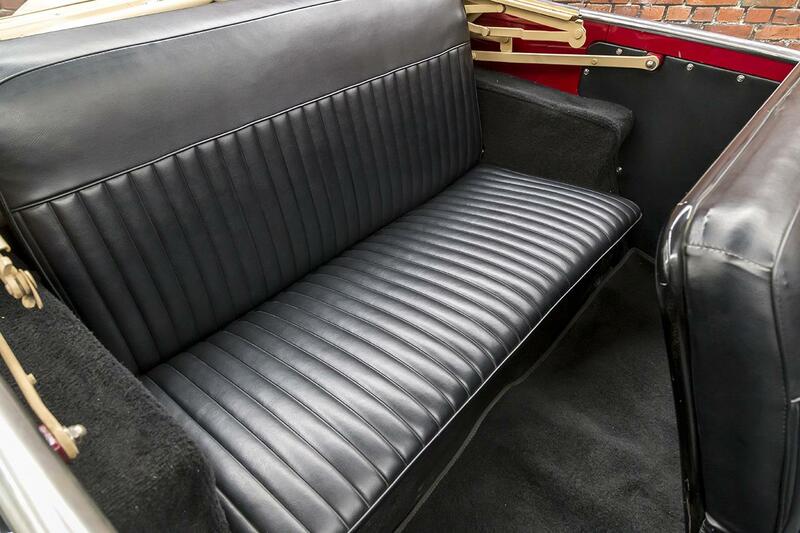 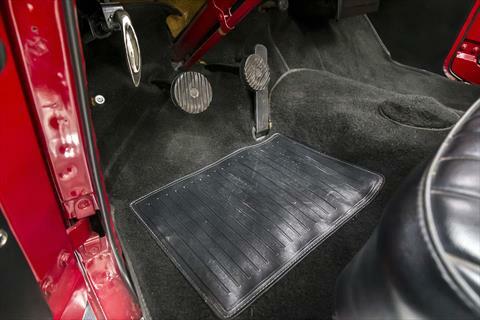 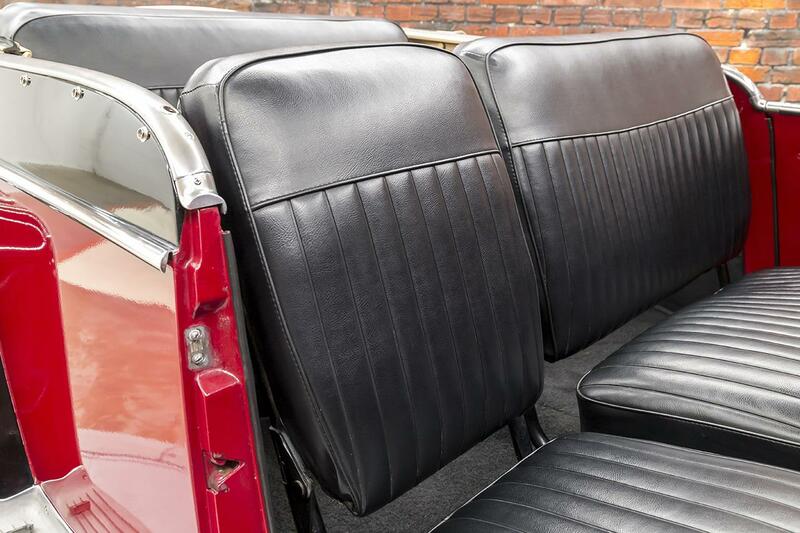 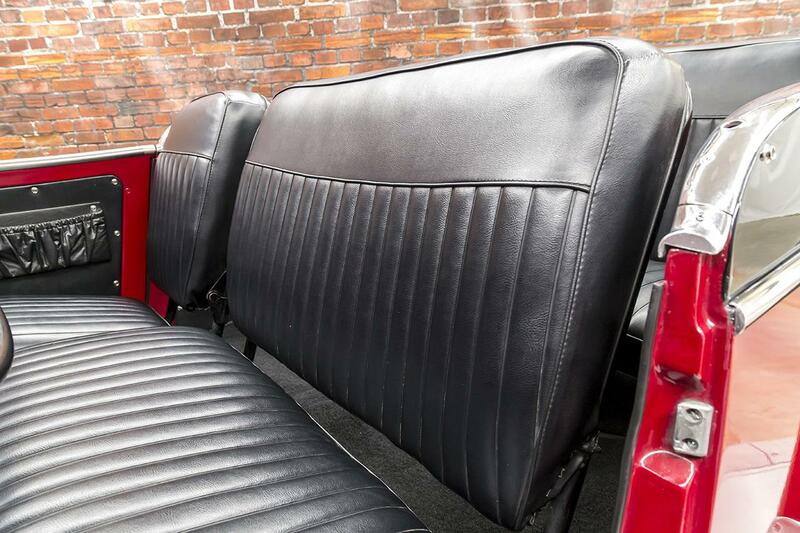 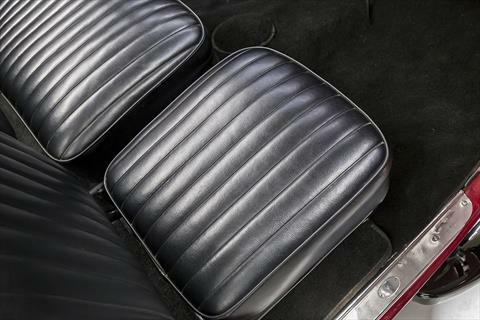 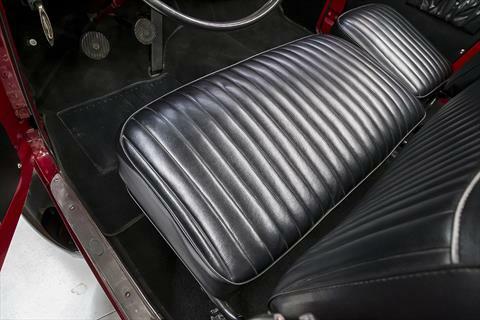 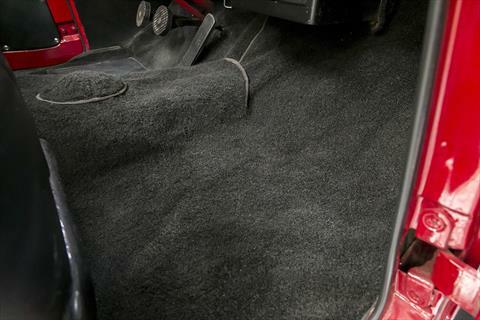 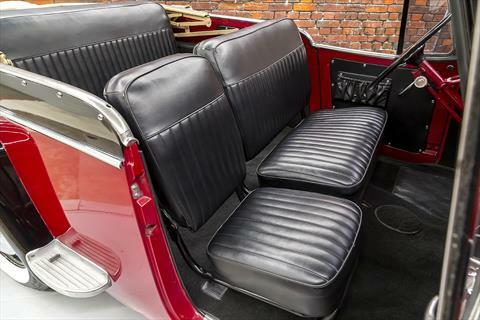 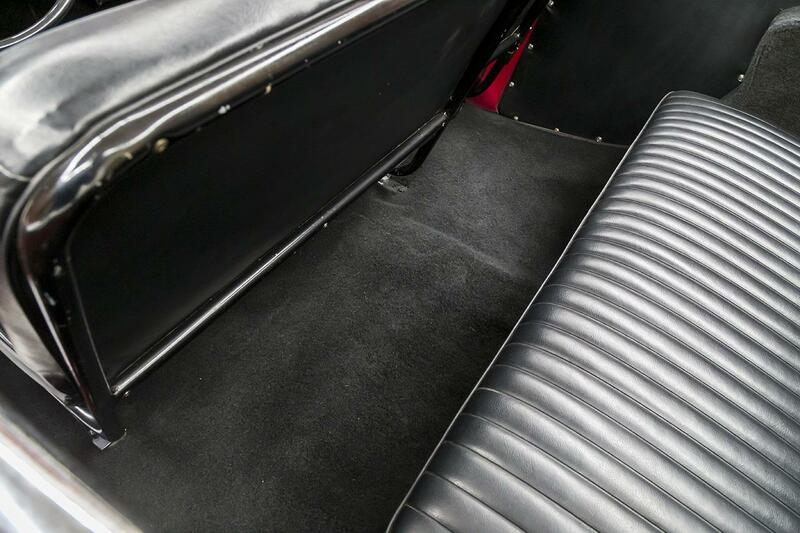 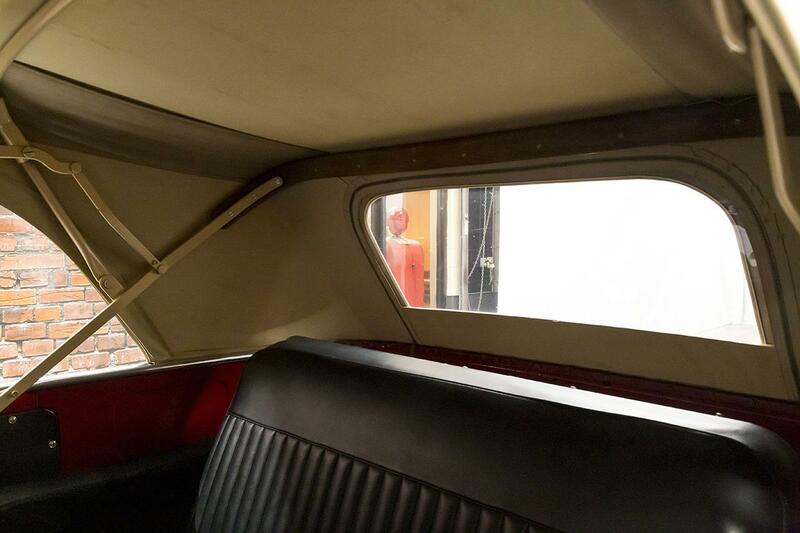 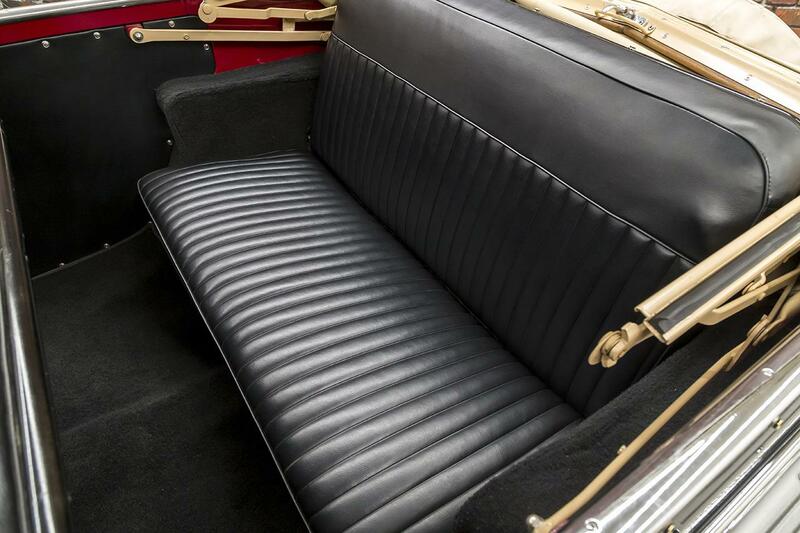 The interior features very nice black, pleated vinyl seats and nice, deep, black carpeting. 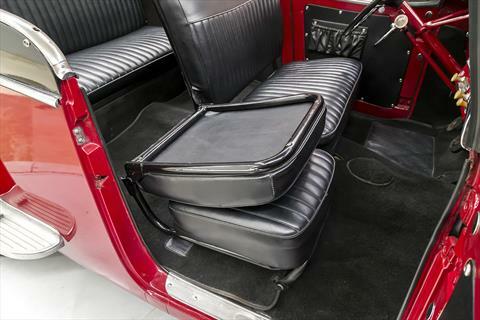 The rear seat easily folds down for rear storage access and the passenger seatback flips down for rear seat access. 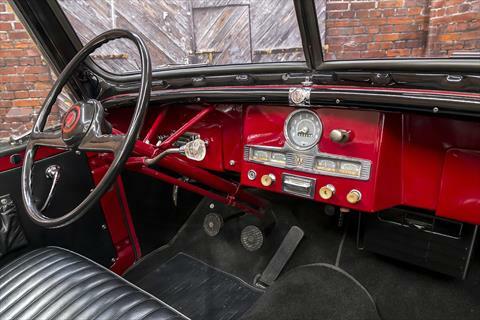 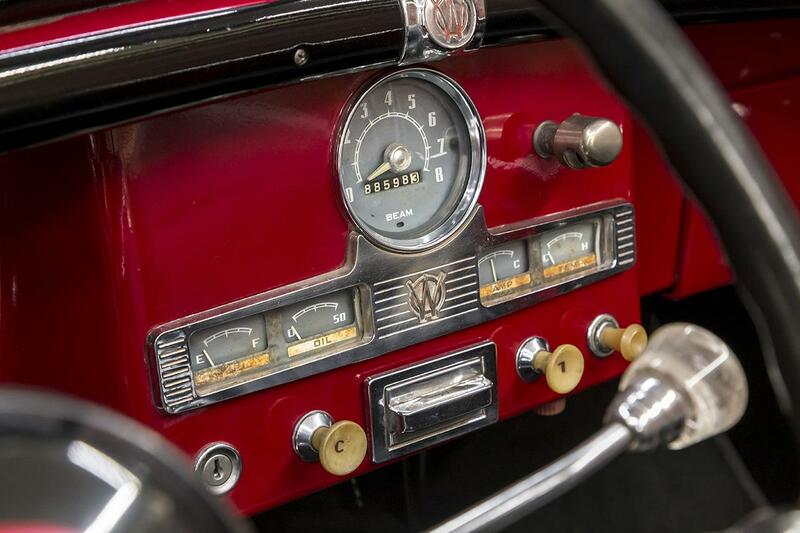 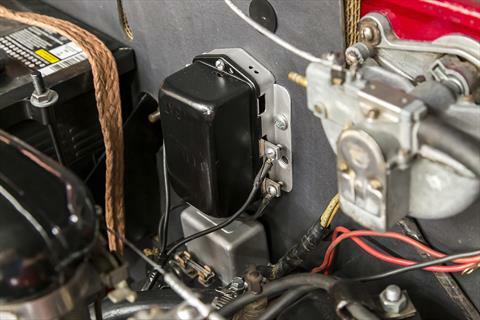 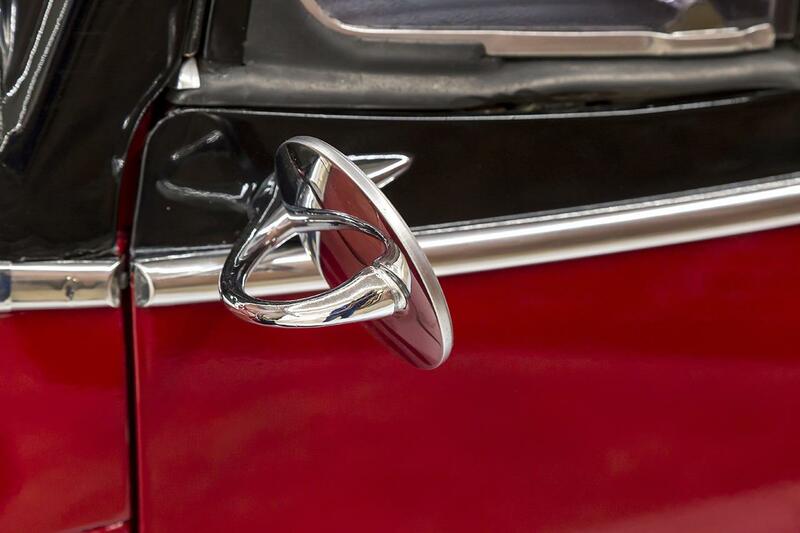 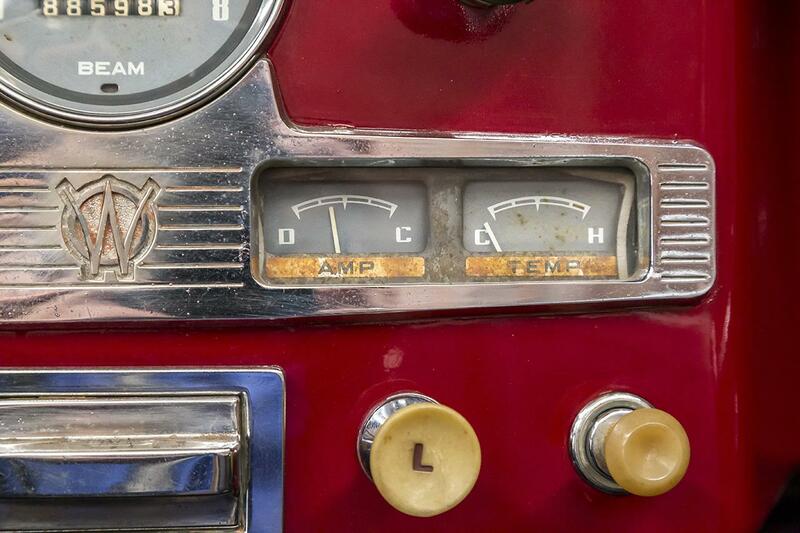 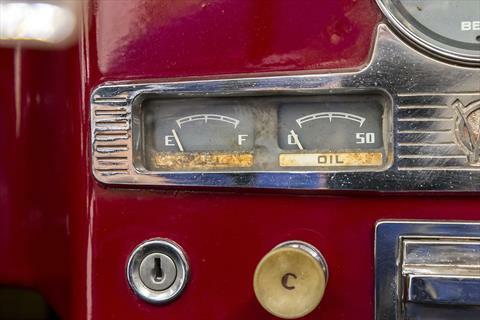 Behind the black steering wheel, the matching maroon painted dash features a cassette stereo unit and gauge cluster. 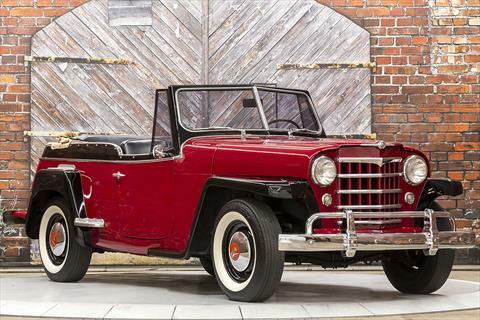 This Jeepster runs and drives well. 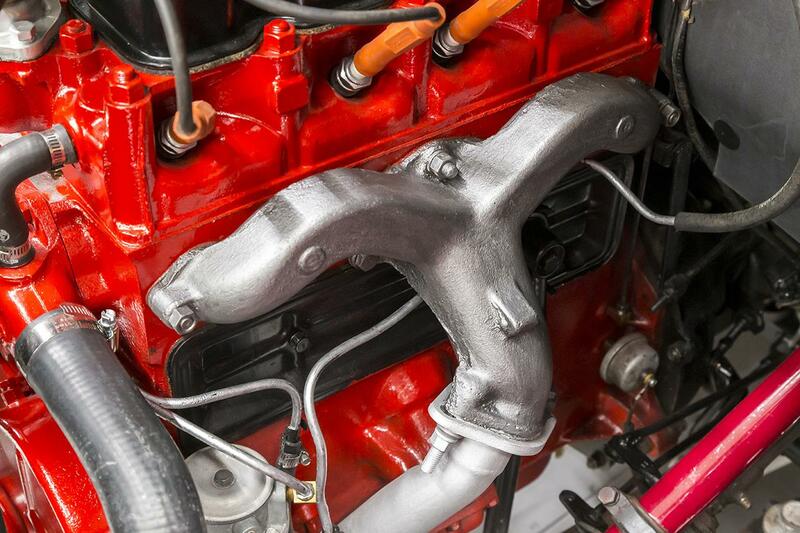 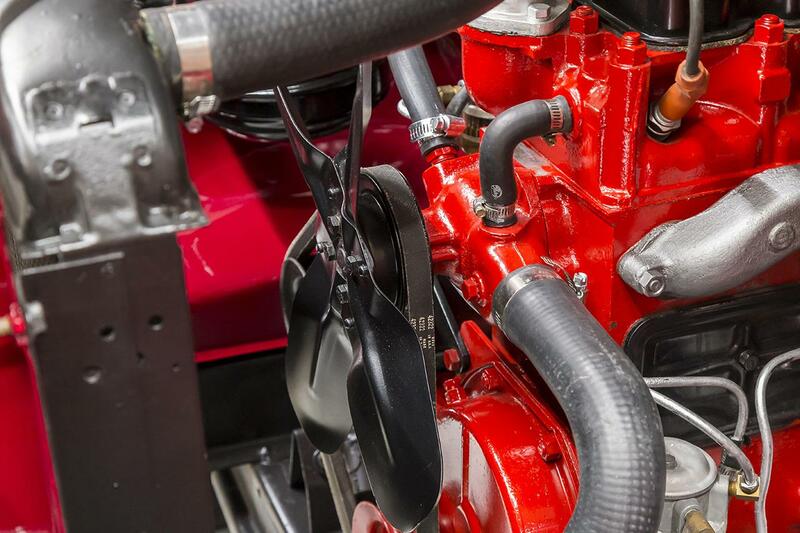 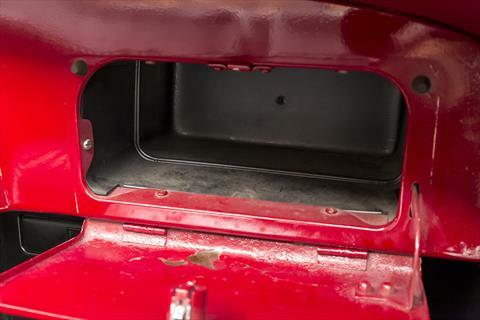 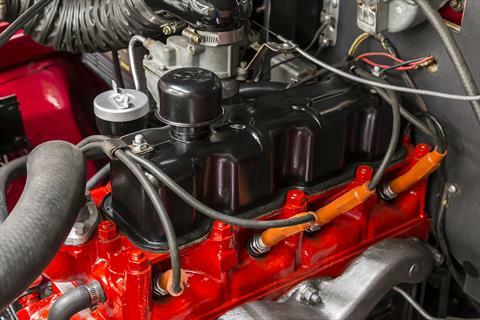 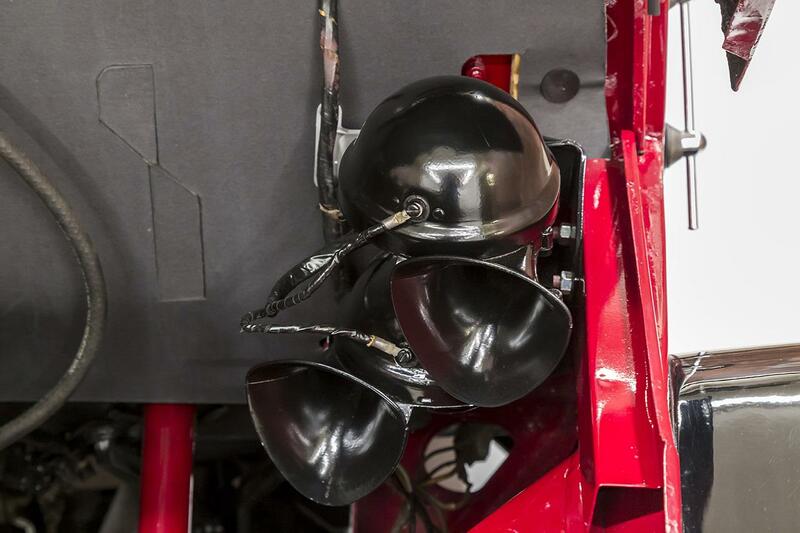 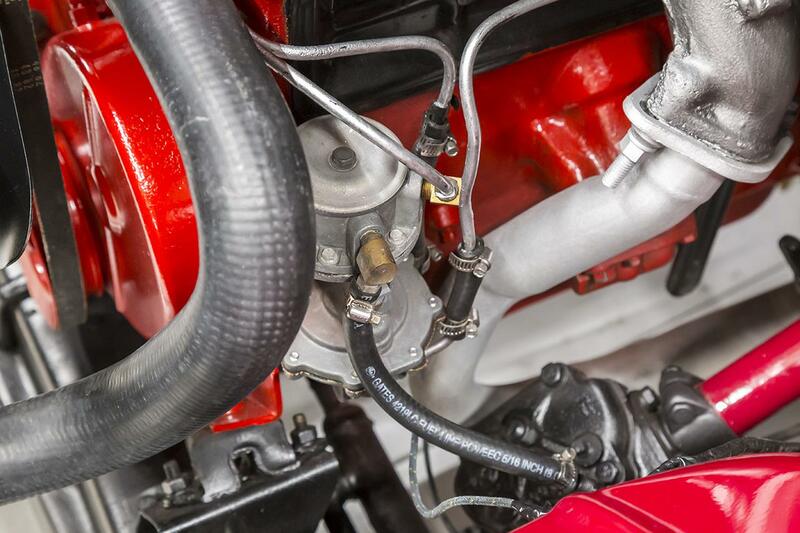 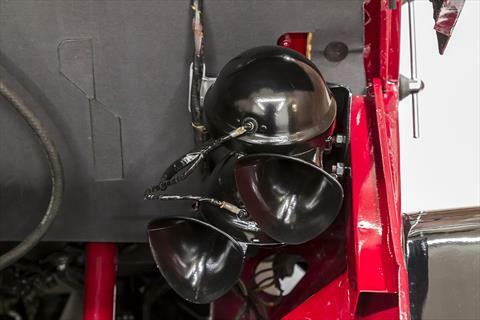 The engine compartment is a beautiful display piece on its own!